When you stop posting, it's easy to continue not posting. So I'm going to make good on my goal of last year and post! Here are a few things from the holidays. Babysitting Naomi, our niece. She and Lacy are pretty good friends. 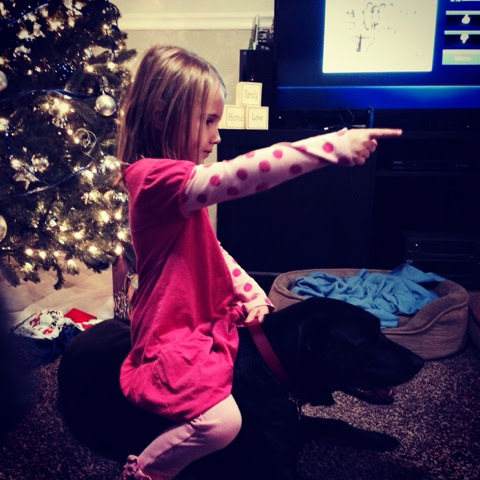 At this point she had just declared Lacy as her horse and commanded her to 'go.' Lacy was less enthusiastic about it. 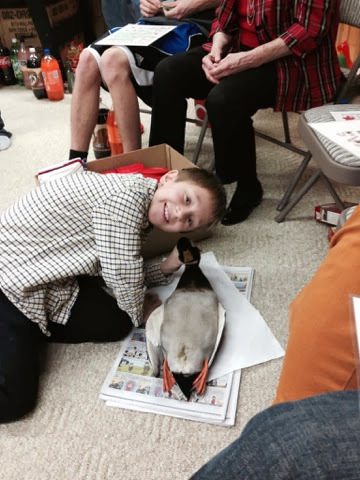 My cousin Ben won a duck at family Christmas Bingo and his wife was not excited about it! Once it was defeathered and breasted out, she was much happier about it. Ethan got one too. He was pretty excited about it. 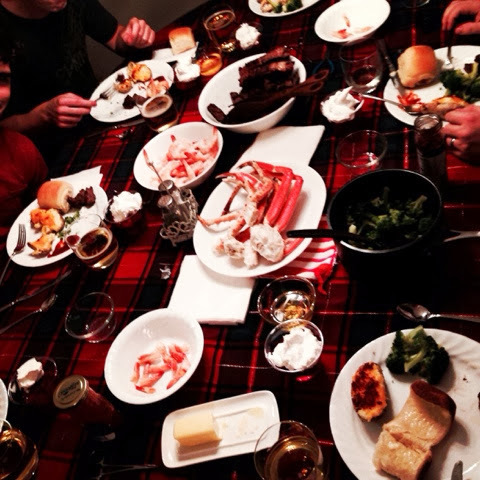 Annual family surf 'n turf with too much food. But it was yummy. Something my dad started years ago that has continued since. We toasted him and the wonderful tradition he started. 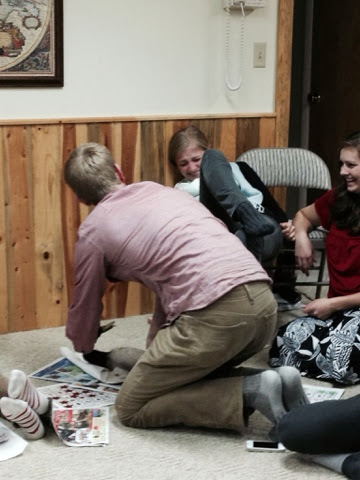 I miss him greatly, especially at Christmas time. He always made it magical for me growing up. My Christmas present from Daniel. 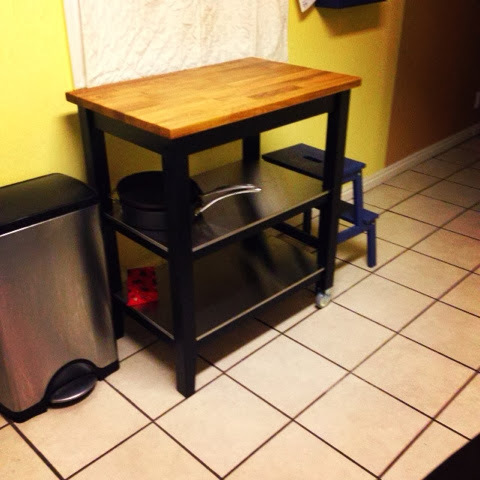 It makes things so much nicer in our little kitchen. I got him a new stereo for his truck. 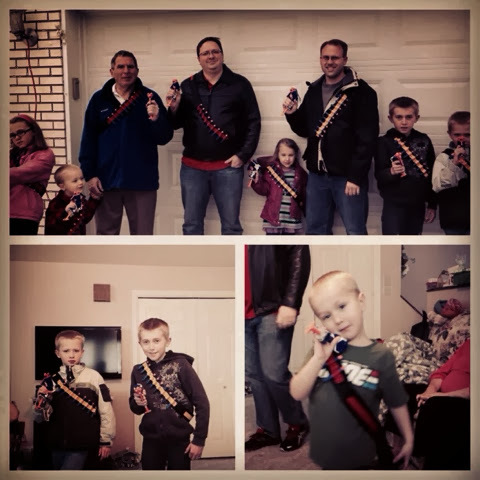 We (I) made these nerf gun slings for Daniel's dad for Christmas. He was excited and so were the kids. 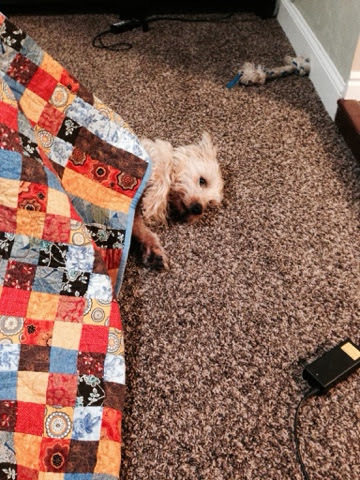 They played for over an hour on Christmas Day. 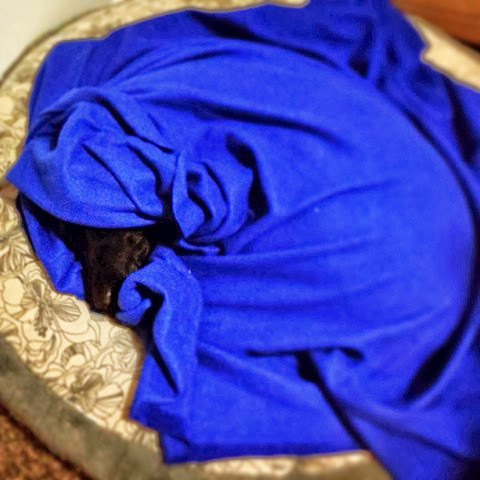 Since Christmas we've been pretty much just trying to stay warm.